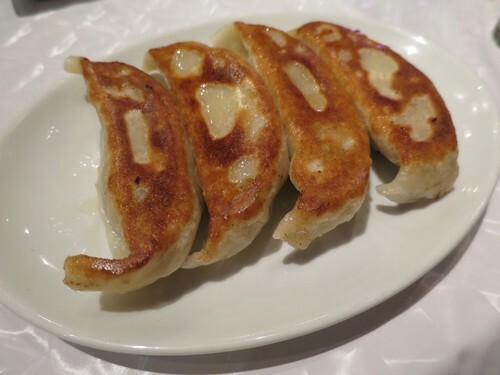 Now, that it is not too much saying that Gyoza (pan-fried dumpling or pot sticker) is the one of national food. Gyoza is said to have spread throughout Japan by those repatriates from China after the war. In a word, Japanese gyoza has nearly 70 years of its history. 5 of such speciality resraurants of long standing over 60 years are picked up for you. They indeed are the pulling forces of the Japanese gyoza history. Enjoy eating gyoza as good old days of Japanese scenes back in the 1950s may be conjured up in your mind. The restaurant which was founded in 1936 is one of the oldest Gyoza restaurants in Japan. Yellow sign at Suzuran street in Jinpo-cho is the recognizable landmark. 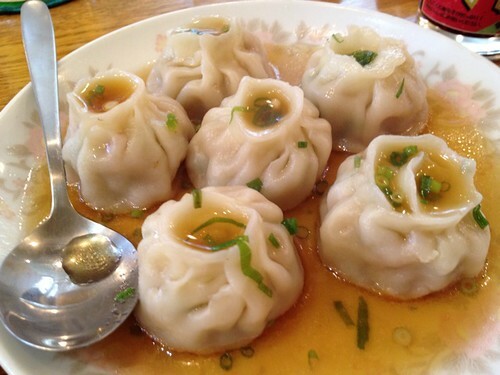 The owner who once managed a Gyoza restaurant in Manchuria founded “Sweet Baozi” in the area after his return. 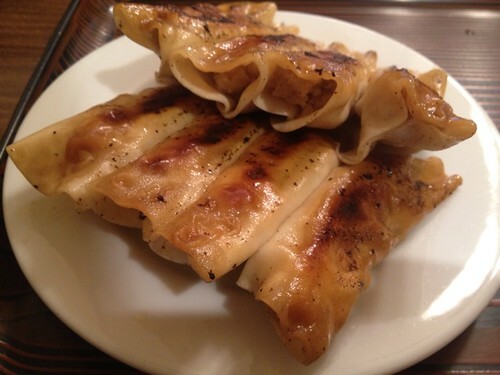 The feature of Sweet Baozi’s gyoza is the dumpling wrap pressed and pasted only upper part of gyoza sheet leaving two sides open. I recommend you to eat without ra-yu ( chili oil) putting only cayenne pepper powder in dipping sauce. “Banri” in Noge, Yokohama is the gyoza store is said to have sold gyoza for the first time in Japan. The restaurant opened in1949. It’s not clear whether if it’s really the first fried dumplings store in Japan, but it is clear that this restaurant has created the history of Gyoza in Japan. It has a light taste, with a twist of ginger. You can’t stop eating them. 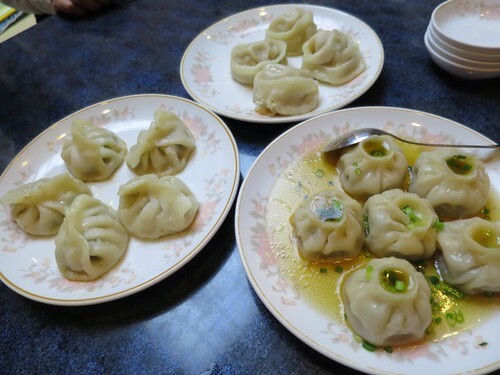 It will also be nice to eat dumplings, while imagining the landscape of Noge where it was once an active town as a black market in the postwar period. “Tai Kou Rou”, Chinese cuisine restaurant in Tokyo Station Yaesu, , is famous for its jumbo gyozas longer than 12cm. Established in 1949. 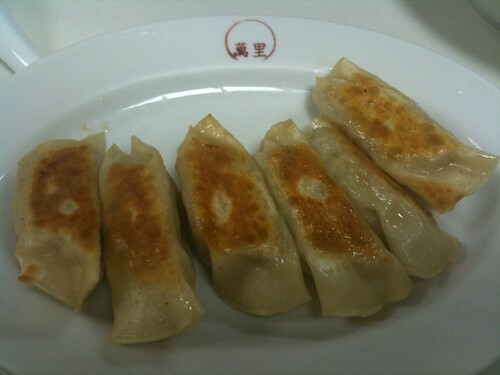 The attraction of the Gyoza, has been loved by patrons, is not only the size but the stuffing seasoned delicately. Despite its appearance, the flavor of the seasoning is fresh. The flavor is further deepened when our store’s original “C-Ba-Jang（C八醤）source.” is used as the dipping sauce for the gyoza. It is a long established Gyoza restaurant, founded in 1948 near Nishisugamo Railway Station. Why don’t you try “Kakou Gyoza”, referred as the original Tokyo Gyoza? You can also enjoy “Tsubo Gyoza”, pot dumplings soaked in soup, as well as “Enman Gyoza”, which including shrimps and others which are creative dumplings full of originality. 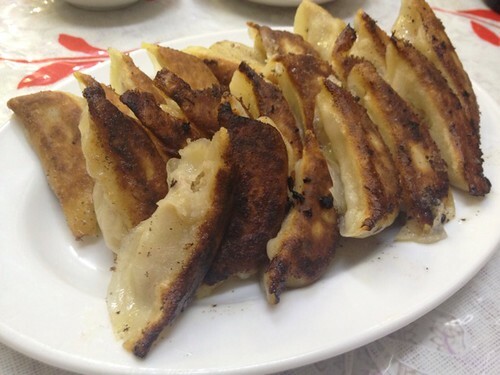 It is a gyoza restaurant with the tradition also has full of frontier spirit to explore new possibilities of dumplings. Muro, which was founded in 1954 has a run-down storefront but excellent tasting gyoza. If you are seated at the counter, you will be able to see a live show of gyoza-making, of which even the skin is handmade, right in front of your eyes. Other than the original gyoza you will be able to enjoy all 5 kinds of gyoza including cheese, curry-flavored, garlic and beni(with chili peppers).